We’re about to blind you with some science. Okay, that is a total lie. There is no science at all in our periodic table, just books. . . lots and lots of BOOKS. Prepare your shelves accordingly, but because this might give you some ideas on what to pick up during your next trip to the bookstore! The Periodic Table of Epic Reads! Before you browse through the table, here are some fun facts we discovered while putting it together. 1.) There 191 books represented, but only 90 books pictured. That’s because there are 27 series on this table. 2.) Page numbers were taken from first edition hardcovers. If no hardcovers were available then first edition paperbacks were used. 3.) 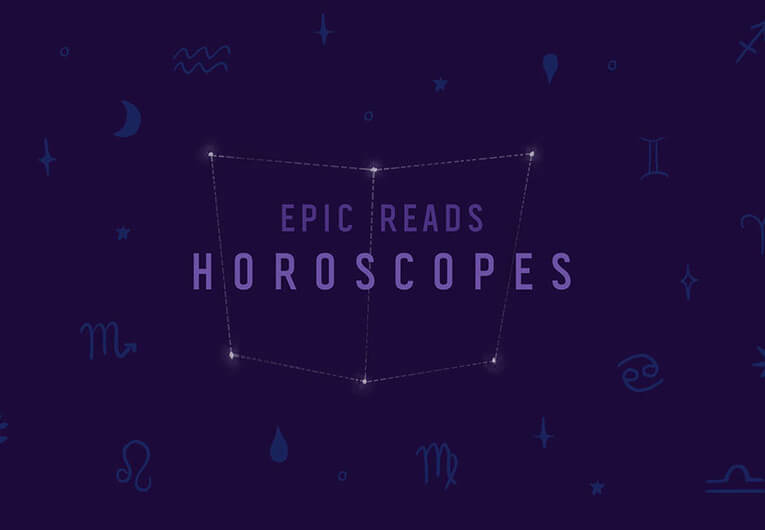 Many of the books have the EXACT same number of pages. 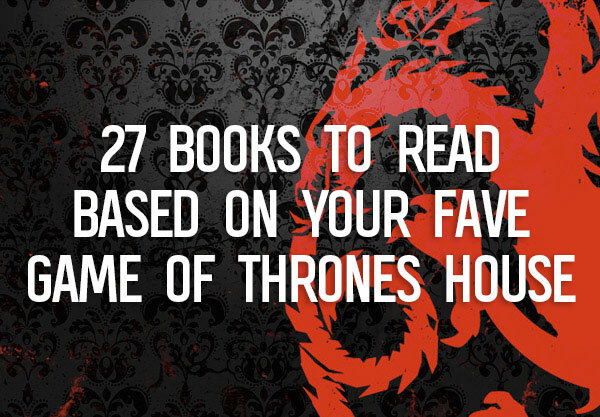 There are 18 books that are 320 pages long, 17 books that are either 352 or 416 pages long, and 15 books that are 336 pages long. Why so many at the same length? Honestly, we have no idea. Do you? If so, tell us in the comments! 4.) The longest book is Hunger, book #2 in the Gone series by Michael Grant. The book is a whopping 608 pages long. 5.) 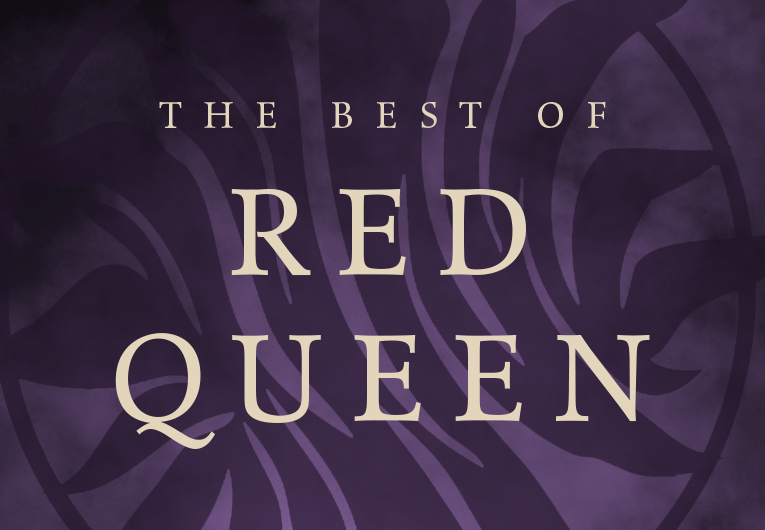 The shortest books each have 128 pages and are Poisoned Apples by Christine Heppermann, Weetzie Bat and How to (un)Cage a Girl by Francesca Lia Block. 6.) The longest series by page length is the Seventh Son series by Joseph Delaney. It clocked in at 6,320 pages total. Now onto the table! Click here if you want to view it at full size! Want to print this? Click here to download the high quality, 300dpi version! Now for a group by group breakdown. . .
Have a question about the table or design? 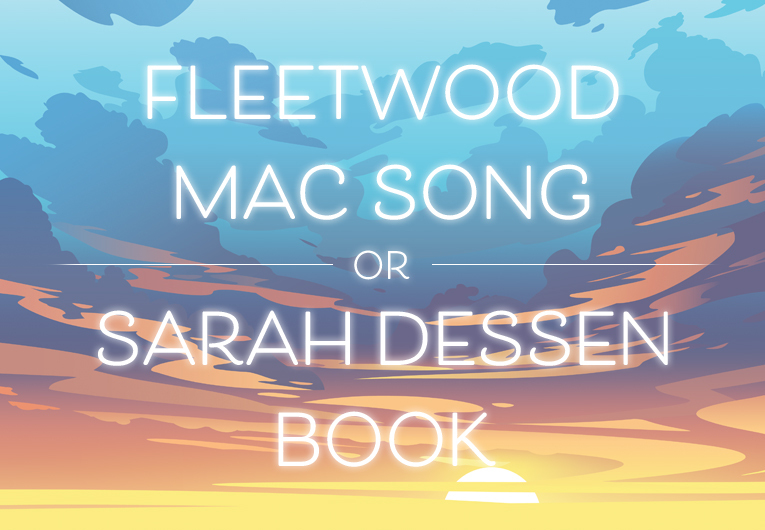 Leave it in the comments below! For more epic infographics, click here! 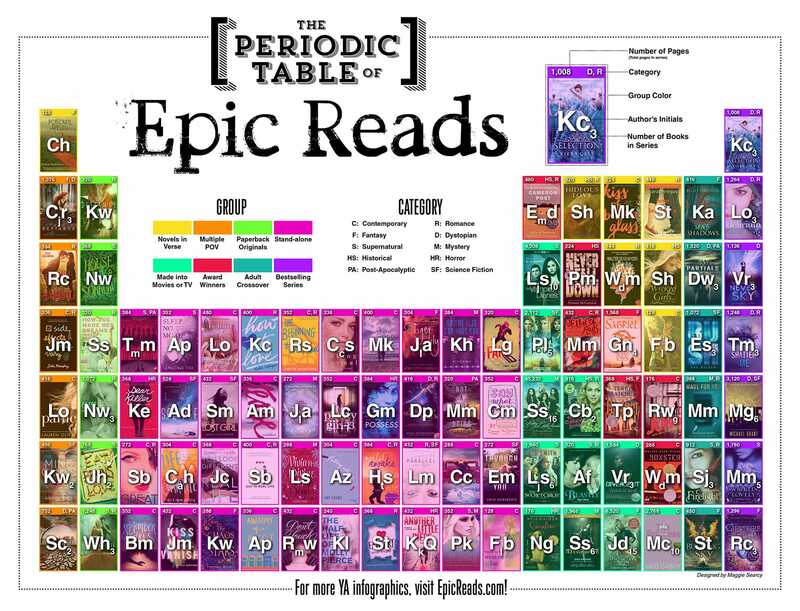 How many books have you read from The Periodic Table of Epic Reads? Tell us in the comments below!